We encourage you to consider the many pet insurance options. 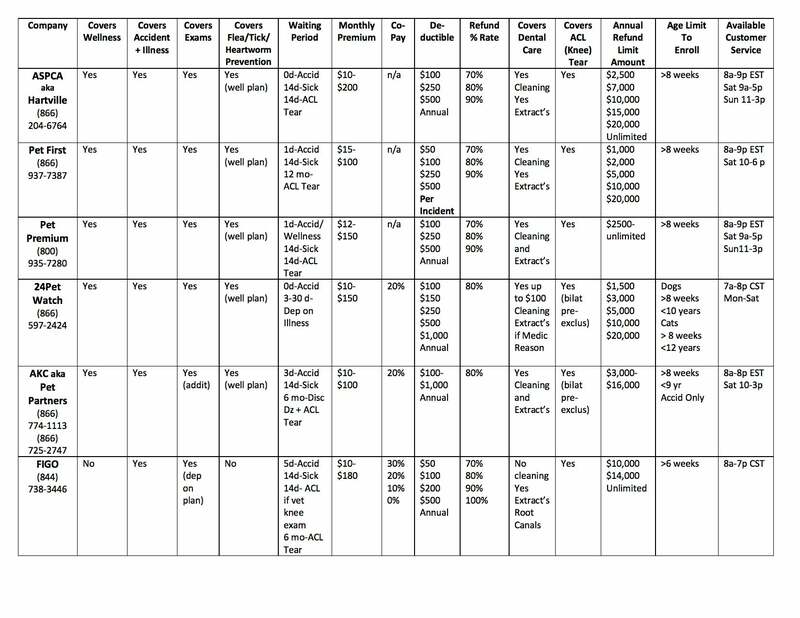 Below is an insurance comparison chart guide to assist in choosing the most appropriate insurance policy for your needs. However we recommend you thoroughly research the individual company and policy options (as details may change). We can assist clients and file their claims upon request, by sending invoice and diagnosis information directly to the insurance company. 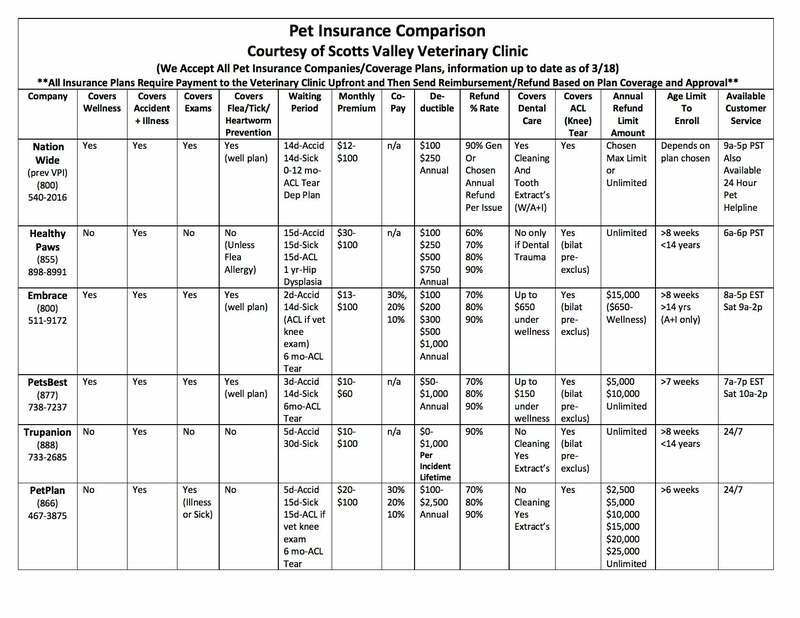 All insurance plans require payment to the veterinary clinic upfront and then send reimbursement/refund based on plan coverage and approval. Brochures are available and our staff is very knowledgeable about the available policies and can assist you in understanding your choices. Information updated as of January 2018, the information for each company was provided by the companies individually with the knowledge of comparison.